WCRE is proud to have successfully represented Fellowship Development Associates, LP, an affiliated entity of Pennmark Management Company in the exclusive leasing and marketing of an approximately 5,670 square foot office suite located at The Mount Laurel Office Center in Mount Laurel, NJ to Braun Research, Inc.
Braun Research is a privately held Marketing and Public Opinion Research firm whose goal is to uphold the highest standards of data collection. Braun Research is known for their expert skill and knowledge in the field of Market Research, Data Collection, Survey Programming, Telephone Research, and Mixed Mode Research. The Mount Laurel Office Center is located at 530-532-534 Fellowship Road and is conveniently located just off of Route 73 in Mount Laurel, New Jersey providing immediate access to I-295 and the New Jersey Turnpike. This well-located office complex is directly across from The Westin & Doubletree Hotels and adjacent to Aloft Mount Laurel Hotel, Miller’s Ale House & Starbucks. Other tenants in office complex include Department of Homeland Security, Social Security Administration & Honeywell. 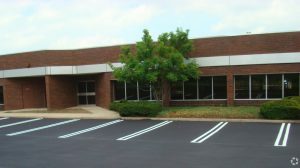 WCRE is marketing additional office suites within the complex ranging in size from 2,500-8,000 square feet. Chris Henderson, Senior Associate, of WCRE Exclusively represented the Landlord in this transaction.